He wrote to the authorities on September 21 this year to issue instructions for preventing puja in government offices. There was no response. Hence the petition. The petitioner said that during Ayudha Puja, government offices become temples. Today, October6, 2011, is Vijayadasami. It is a public holiday. 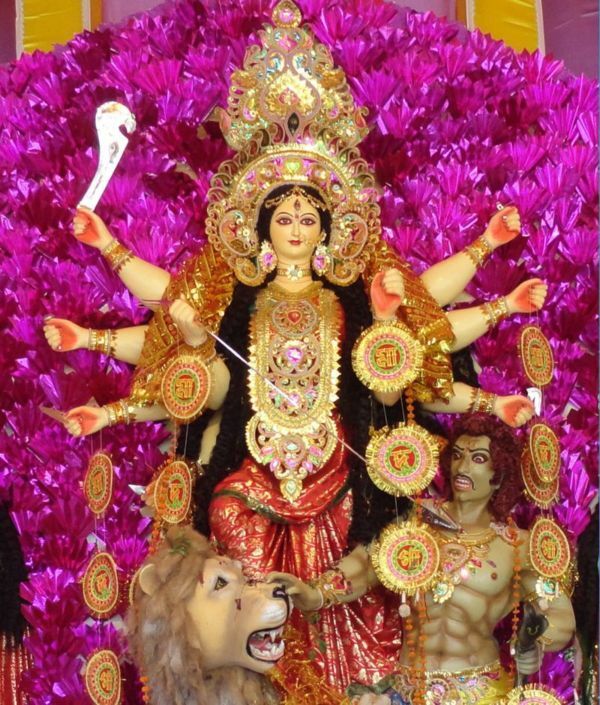 In Port Blair (Andaman & Nicobar Islands), where a significant section of the population consists of Bengali speaking Hindus, this day is celebrated as Durga Puja. 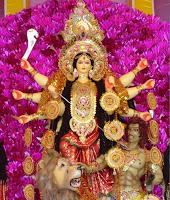 There are dozens of durga puja pandals set up by various organizations across Port Blair, each one of them attracting people in hundreds and thousands, with women forming the most visible section of the devotees - they come attired in colorful saris and churidars embroidered with sequins and beads (you simply can’t miss their glittering outfits). The megaphones set up outside these pandals blare out crudely composed devotional songs as well as the latest bollywood item numbers. As I write this, 3.30 pm, Munni Badnam Hui Darling Tere Liye…is the one coming out of the pandal outside my flat. While I try to understand the religiosity of the people flowing out of their houses and temples onto to the streets and other public spaces (in fact, I approve of playing of non-devotional songs such as the latest bollywood hits, which makes religious ceremonies less rigorous, less puritanical, and thus less fanatical) what I find disturbing is the practice of performing religious ceremonies inside government offices, which, under a secular state, should have been a definite no-no. I think I have not drafted the last paragraph correctly. I should have said “the practice of performing Hindu religious ceremonies” because it is only the Hindus who perform religious rituals inside government offices in India. Employees belonging to other religious denominations do not make even a slightest attempt to perform their religious ceremonies within the office premises. In my career spanning almost 25 years spread over four states, I have not come across even a single case where Christians or Muslims ever performing any religious ceremonies inside the government offices. On the other hand, Hindu employees take it for granted. Some treat it as their right. 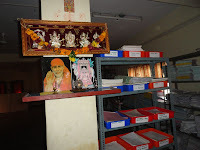 Idols and images of Hindu deities are openly displayed inside government offices and pujas are performed every week or every day, expenses of which are borne, not by the Hindu employees but by the department. It is my experience that no Christian or Muslim employee has ever dared to question these practices or even privately expressed their reservations if any. The blatant display of Hindu religiosity within government offices reaches it peak during Vijayadasami, which is celebrated also as Ayudha Puja. On this day, professional pujaris are brought in and elaborate rituals are enacted lasting about an hour or more. Saffron and sandalwood pastes are applied on vehicles and office equipments such as computers and printers and fax machines. In 1995, I was witness to a particularly gruesome experience of bank employees sacrificing a goat outside the Canara Bank office next to Mayo Hall in Bangalore. When I narrated this incident to my trade union colleague, I was told that a goat was similarly sacrificed when an insurance company opened a branch in Bangalore some time in the 1990s. It is in this context that the news reproduced at the beginning of this article derives its importance. True, in Tamil Nadu, where Periyar EVR unleashed a war against casteism and superstition more than half-a-century ago, the expression of religiosity still takes certain absurd forms. But this (puja in government offices) is not a practice followed in Tamil Nadu alone. Since it is prevalent through out India, why can’t an all India organization like Federation of Indian Rationalist Associations file a petition in the court to make it a party in the case? The news report quoted above talks about “a letter from the Centre to ensure that no religious worship or prayer took place on office campuses”. A google search has not produced any result on this letter. Does anyone have any detailed information about this letter issued by the Central Government?